For people interested in Japanese music in Finland, the summer of 2012 was especially substantial. In June, the annual Sibatomo concert concentrating on Finnish and Japanese contemporary music was organized in Helsinki, and in July Eva Alkula's and Tomoya Nakai's koto-kantele duo performed both Finnish and Japanese music at Meidän Festivaali (Our Festival). However, the occasion of special richness was Korsholm Music Festival held in Vaasa in Western Finland from 31th July to 7th August. Being held for the first time in the year 1983, the festival of 2012 was the 30th one, marking a jubilee year for the festival. For this reason, the artistic director Marko Ylönen contacted Seppo Kimanen, who was one of the original founders of the festival, and asked for Kimanen's opinions on the festival of the festive year. This resulted in Japanese music being one of the themes of the festival of 2012 by Kimanen's suggestion. 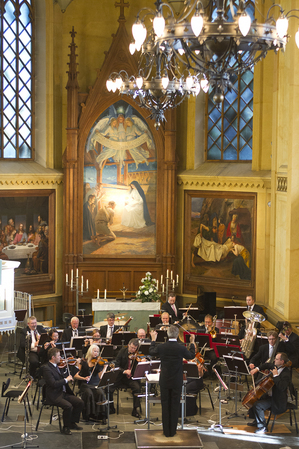 The themes of the festival were displayed in every concert starting from the opening concert in Korsholm Church. As for the Japan theme, the work performed was Ichiyanagi's Interspace of very interesting atmosphere. From this very first concert, the performances at the festival were of high quality. Actually, I heard that Ichiyanagi himself praised the performance of Interspace by The Ostrobothnian Orchestra lead by Juha Kangas by saying that it corresponded exactly to the image he had when he composed the work. By the way, the work Interspace performed at the opening concert was one of the oldest of Ichiyanagi's works played during the festival, the piano quintet composed for the festival being the newest. 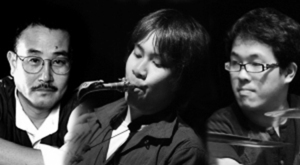 The works performed at the festival were composed during a period of 26 years, drawing an interesting reflection of the compositional styles used by the composer and changes in the style. 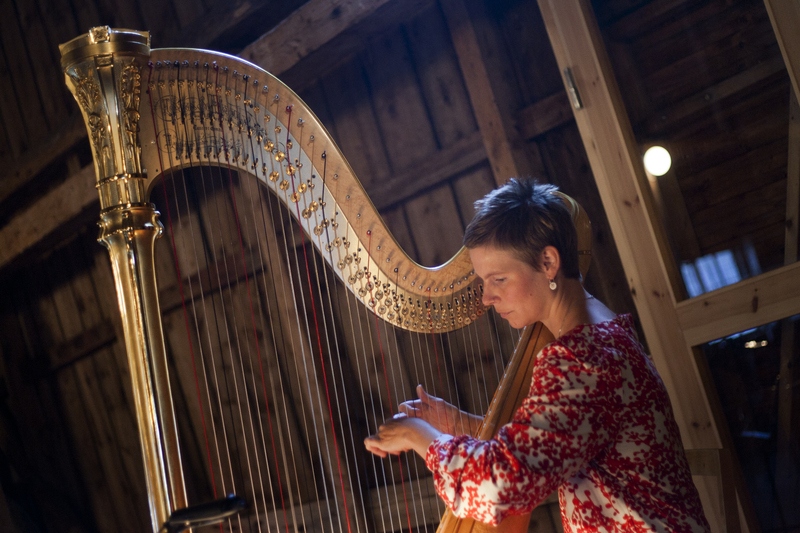 Moreover, the works chosen for performance differed in terms of forms from harp solo to a work for choir and solo cello, therefore representing a very large scale of different styles. Although the festival was organized in Vaasa, in reality the concerts weren't restricted to Vaasa but were also performed in little towns and villages around the city. These kinds of towns usually do not have concert halls of their own, which resulted in using different kinds of places for substituting halls. Needless to say, this kind of spaces not originally meant for musical performances face acoustic problems. However, the artistic director Ylönen had taken this into account when planning the program. This resulted in concerts very appropriate for the concert spaces not only in terms of acoustics but also in atmosphere. Actually, one of the reasons for the festival's attractiveness is its sense of locality, and these kinds of places for performance are an expression of this. In terms of atmosphere, one of the most impressive of this kind of places was the UNESCO World Heritage Site Björköby's "suolaamo", a fishing place surrounded by sea. In this place, whose walls were decorated by fishnets, Ichiyanagi's work Still Time III was performed. Originally a work titled Still Time II and composed for the kugo, this time the piece was performed on the harp. Beginning from the choice of instrument, as a work with different kinds of elements changed, the performance was very suitable for the place of choice. This is one indication of attractiveness that probably only Korsholm Music Festival is capable of. Also the concert concentrating solely on Ichiyanagi's works and his compositional career, titled Portrait of the Composer Toshi Ichiyanagi, was held at this kind of site that is not a concert hall. The place of choice was the artist Fritz Jakobsson's studio. The concert was extremely interesting, and although held in a small studio - or exactly because held in a small studio - the concert really stood up to its name as a compositional "portrait" of the composer Ichiyanagi. This was because of the concert not only concentrating on Ichiyanagi's music, but also including an interview of the composer. Ichiyanagi told about his works and his ways thinking and also gave an improvisational performance on piano on the theme "Fritz Jakobsson". He also combined the roles of a composer and a performer and performed the work Before the Darkness Comes... with the accordionist Matti Rantanen. Since these kinds of chances are very rare for Finnish, the audience must have been very impressed. This far, I have only been writing about Ichiyanagi's music, which of course was the main inside the Japan theme, but the theme was also interesting outside Ichiyanagi's works. Especially, Takemitsu's work Nostalgy, which was performed in a concert together with Finnish music in a Isokyrö Church built in the year 1304, was a superb performance. The late Takemitsu once stated that Western music is very "movable" from country to another as simply as a little object, whereas Japanese music is as difficult to move as a lawn. However, performed alongside with works by Toivo Kuula and Pehr-Henrik Nordgren, Takemitsu's Nostalgy echoed very naturally in the old Finnish church. In other words, at least in Finland the work could not be considered "difficult to move" at all. To give an even more concrete example, works by Hosokawa, based on concepts of Japanese traditional arts like gagaku, were also performed like Takemitsu's work in very Finnish environments. One of these performances was of the work Melodia for accordion solo in a Finnish-style wooden church. There might be people who find this kind of work not suitable for a performance in this kind of environment, but far from being not suitable, the work echoed very naturally inside the Finnish environment. Not only this, but like the above-mentioned UNESCO World Heritage Site, while expressing a sense of locality, the choice of performance sites also gave new value to the work. 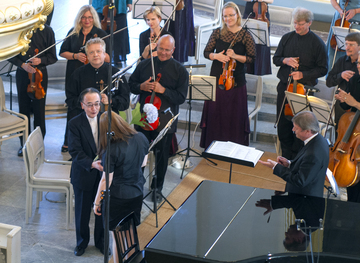 In Finland, premiers of works by Japanese composers are rare. Therefore, the piano quintet that Ichiyanagi had composed for the festival, was of even more interest. As a composition it was peculiarly Ichiyanagi's music, and performed in the jubilee concert of the festival at the classical Vaasa city hall, the concert was superb overall. However, in my personal opinion, the most impressive work performed during the festival was Ichiyanagi's symphony no. 8, Revelation 2011, performed by Vaasa City Orchestra conducted by Hannu Lintu in the closing concert. The work was composed after The Great Tohoku Earthquake. In the previously-mentioned interview at Fritz Jakobsson's studio, Ichiyanagi mentioned that the earthquake renewed impressions about what can be regarded "Japanese". This symphony, which was thematically organized and very dramatic, had a feeling of depicting modern Japan. All in all, whether about the Japan theme or performances outside it, the Korsholm Music Festival was extremely interesting, and in terms of performances and contents it was a great success. Performances were not only of vey high quality but also gave the audience the possibility of listening to music rarely heard in Finland. And while the program and the performers were international, the festival didn't forget its sense of locality and sense of something Finnish. I think that this can be called very good Finnish-Japanese musical cooperation. 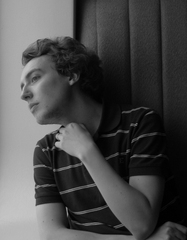 Lasse Lehtonen (b.1986) is a master degree student of musicology at the University of Helsinki as well as vice president of the Finnichi Wa - Finnish-Japanese Contemporary Music Society established in February 2012. Lehtonen specializes in the research of Japanese music and has published on the subject both academically and popularly. He has also given lectures on the subject. As a pianist, Lehtonen specializes in performing Finnish and Japanese music and has also organized concerts of Japanese music in Finland.